This buttery superfruit provides a healthy dose of good-for-you monounsaturated fats and has a decadent, mild taste and creamy texture. Avocados have the highest protein content of any fruit. Many of us enjoy avocado in guacamole, but there are many other ways to get this fruit onto our plates. Substitute avocado as a healthy sandwich spread, in place of mayonnaise or butter. Try adding them to your scrambled eggs when they are nearly finished or simply mash it up and spread it on toast. 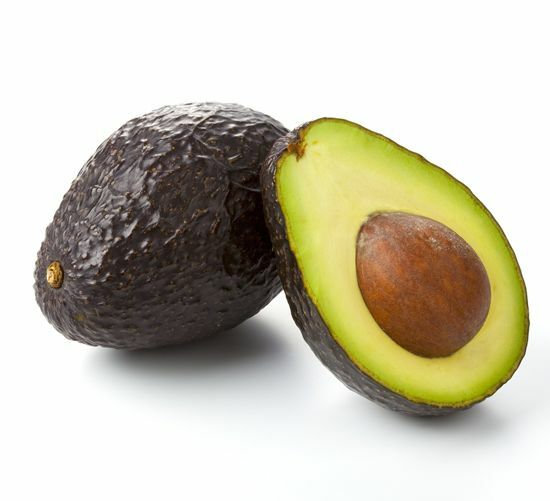 Avocados can also be used as a substitute for oil in baked goods. Avocados range in size and shape. The two most common avocado varieties are Hass avocados that have a rough, bumpy texture and Fuerte avocados, which have a thin, smooth skin. To pick the perfect avocado, select one that is heavy for its size, which is free from blemishes. It should be soft but not mushy. Ripe fruit will yield to gentle pressure and will be a dark brown or nearly black colour. Avoid squeezing and applying pressure with your fingertips as too much pressure can cause bruising and will spoil the fruit. Hard, green avocados are not ready to eat and will take 3 -5 days to ripen at room temperature on the counter. If you only plan to eat one per day, pick avocados with staggering ripeness so they are ripe and ready to eat on subsequent days. The best way to tell how ripe avocados are is to gently squeeze them, to test their firmness. Avoid avocados with overly soft patches. You can also remove the stem cap at the top of the avocado to see how ripe they are. If it does not remove easily, it’s not yet ripe. We only recommend doing this with avocados you’ve already bought so you don’t cause avocados at the store to spoil prematurely. If you don’t plan to use your avocado for a few days, select one that is not yet ripe (firm and green in colour), and allow it to ripen on the counter or on a windowsill. Check it periodically and enjoy when ready. If you wish to speed up the ripening time, place it in a brown paper bag with a banana. Ethylene gas given off by the banana will speed up the ripening time by about half. Ripe avocados should be kept in the refrigerator until you are ready to use them. For maximum eating enjoyment, bring them out of the fridge at least 30 minutes to rest before eating to enjoy the best flavour and texture. Avocados freeze well in pureed form. Wash your avocados, then cut and remove the skin and pit. Mash with a fork or puree in a blender or food processor with 1 Tbsp of lime or lemon juice per avocado to stop them from discolouring. Then transfer to an ice cube tray and place in freezer. Once frozen, transfer the avocado cubes to a freezer-safe airtight container or plastic bag to have on hand to add to smoothies, make guacamole, or spread onto a sandwich later. Use frozen puree within 4-5 months. As with any fruit, wash before using in cool running water. Cut your avocado lengthwise around the pit and gently twist both halves in opposite directions to separate them (like you are opening a jar that is a little stuck). Take the side that has the pit and carefully hit the knife into the pit, so that it “sticks”. Twist the knife and lift out the pit. Alternatively, scoop out the pit with a spoon. With a large spoon scoop out the flesh from the skin. Discard the skin. As soon as the avocado is cut and exposed to air, it will start to oxidize [darken] however the taste won’t be affected. 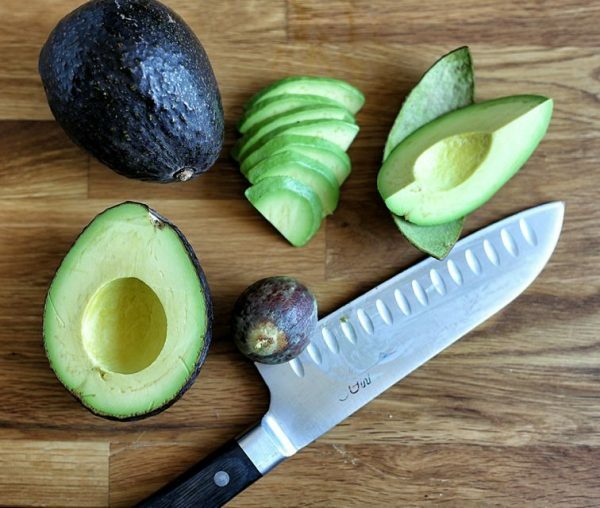 If you’re only using half an avocado, do not remove the pit from the one side sprinkle lemon juice and salt on the exposed flesh to prevent browning and store tightly wrapped in plastic wrap in the fridge. Use within 1 day. Avocados that are slightly over ripe are perfect for making a dip! They are easy to mash and will give you a buttery, soft texture and delicious flavour. If you want an extra smooth guacamole, make it in a mini food processor or blender. One large avocado will give you about one cup mashed. 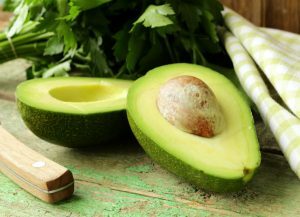 If you are cooking with avocado, keep in mind they will turn slightly bitter when cooked, so add them at the end of the cooking process (i.e., adding to an omelette, etc.). Once home, pop out the avocado stem to look inside an avocado to know if it’s perfect for eating. If it’s too hard to pop out easily, then it’s not ripe yet. If it’s brown underneath, it’s over-ripened and not good to eat. If it’s a perfect, mellow green, then you know it’s good to eat! Try mashed avocado with egg or tuna salad instead of mayo. Avocados pair wonderfully and are good for you. Throw the avocado pit back into your leftover dip if you are storing. The pit also helps with reducing the amount of oxidization. Cover the dip making sure the plastic wrap is touching the top of the dip and the sides of the bowl making sure all air is removed. Use avocados to make creamy desserts such as a simple yet show-stopping Avocado Chocolate Mousse Tart. The cool, creamy texture of avocados makes them a natural fit for lightly mashing and spreading in sandwiches and wraps. Turkey and chicken work particularly well, such as a turkey and bacon club sandwich with avocado spread between layers. 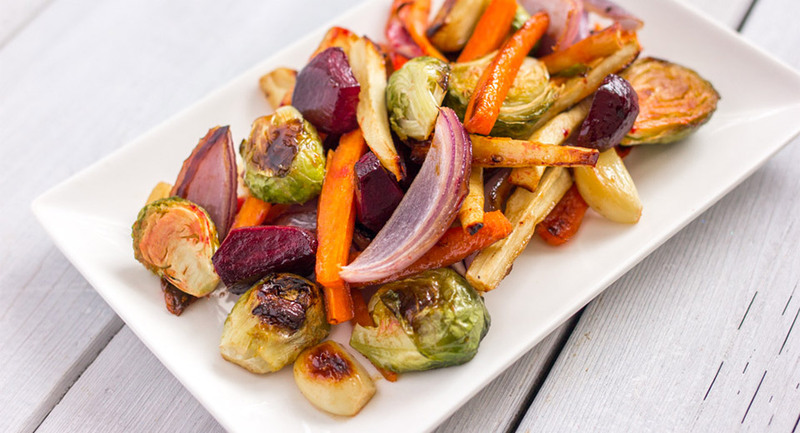 Appetizers can be pretty, tasty and healthy! These crunchy cucumber bowls filled with zesty whipped guacamole make for seriously flavourful snacking. They’re perfect for parties! Sliced or diced, avocados go well in salads where they add a delicate contrast to crunchy lettuces, cucumbers, seeds and nuts. Try an Asian-inspired noodle salad with sliced avocado, Chow Mein noodles, thinly sliced carrots and snap peas tossed in a sesame dressing. Try a rich and creamy avocado salad dressing as a healthier option than a mayonnaise based dressing. Drizzle it on iceberg lettuce, sliced cucumber, grated carrot, and diced cheese or on diced tomatoes as a side dish to eggs and toast on the weekend. 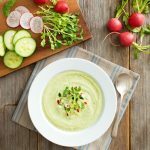 Combine cool cucumber and luscious avocado to create a refreshing and creamy Cucumber Avocado Soup that you can feel good about sipping on any time of year. Of course you can never go wrong with a classic guacamole! Mash perfectly ripe avocados with lime juice and salt for a basic dip for tortilla chips. 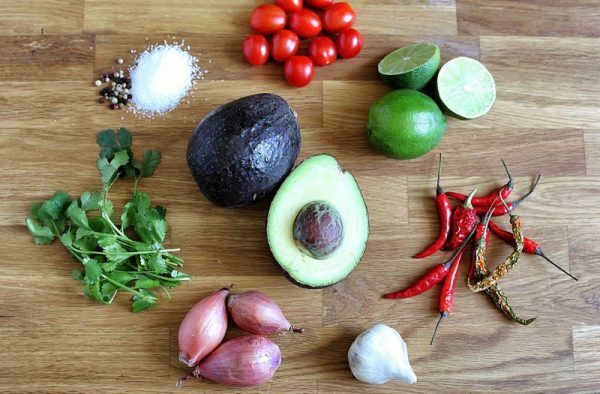 Some other guacamole additions include crushed garlic, chili powder, diced tomatoes, diced sweet red peppers and chopped green onions or finely diced red onion and sour cream. Layer it up and make a pretty, and tasty dip! According to the Canadian Nutrient File, 1 whole avocado contains a great number of your daily-recommended intake of nutrients: 2 g of protein, 37% of folate, 27% of (6.7 g) of fibre, 26% of Vitamin K, 17% of Vitamin C, 14% of potassium, 12% of magnesium, 10% of copper, 7% of manganese, 7% of zinc, 5% of phosphorus, 4% of iron, and 271 µg of the antioxidants lutein and zeaxanthin. An average avocado has 167 calories and 0 cholesterol.